When war was declared in August 1914, it not only changed the lives of the soldiers who fought, but also the lives of their families, their neighbourhood and, ultimately, the whole of society. Women came out of their homes to take up work in industry, to drive the trams, to police the streets as well as nurse the wounded. Government, local and national, imposed extensive controls on all aspects of social life - who could remain in work, who had to fight, what could be grown as crops, what clothes were appropriate and how to feed a family. 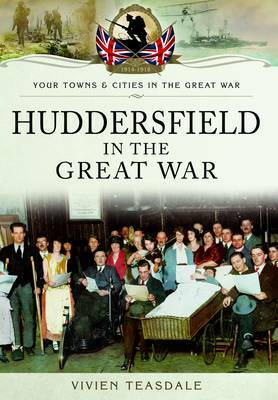 This study looks at how these changes affected Huddersfield and its inhabitants, showing how employment changed, how the town contributed to financing the war and how the local tribunals dealt with those who did not want to fight. Local families, from the highest to the lowest walks of life, find their stories illustrated here.